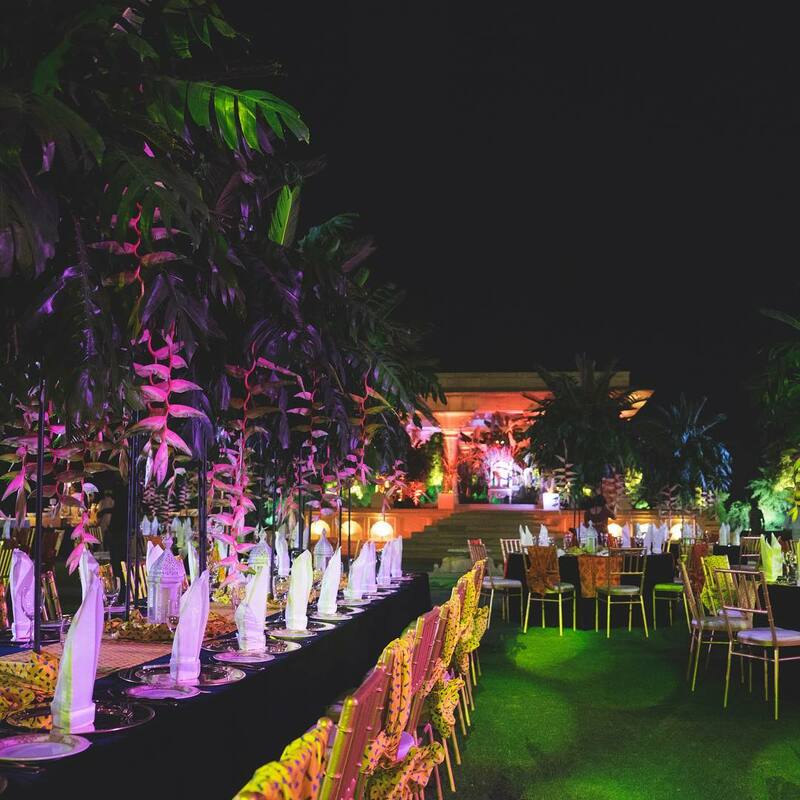 Big fat Indian weddings are all about exquisite wedding decor, exclusive wedding locations, gorgeous wedding outfits and much more. 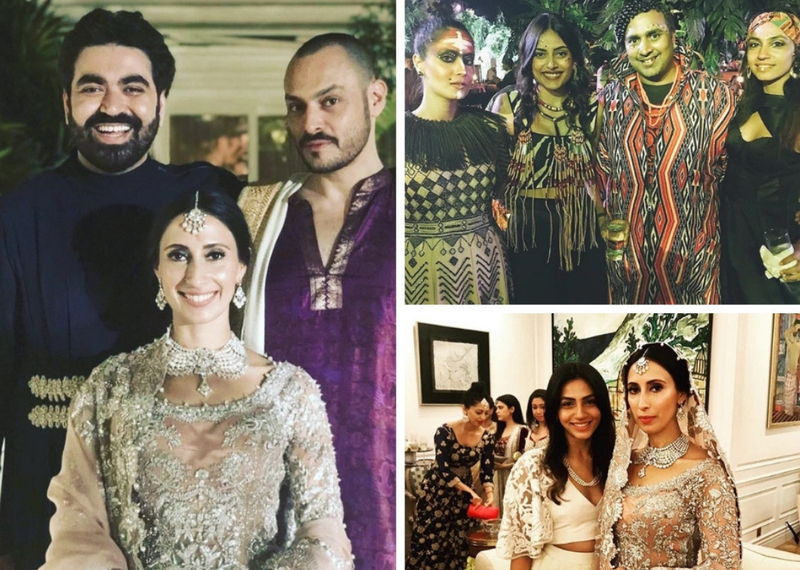 Recently, DLF group’s Savitri Singh, daughter of Rajiv Singh, got married to Sahir Berry in Delhi, followed by a post-wedding celebration in Jodhpur. 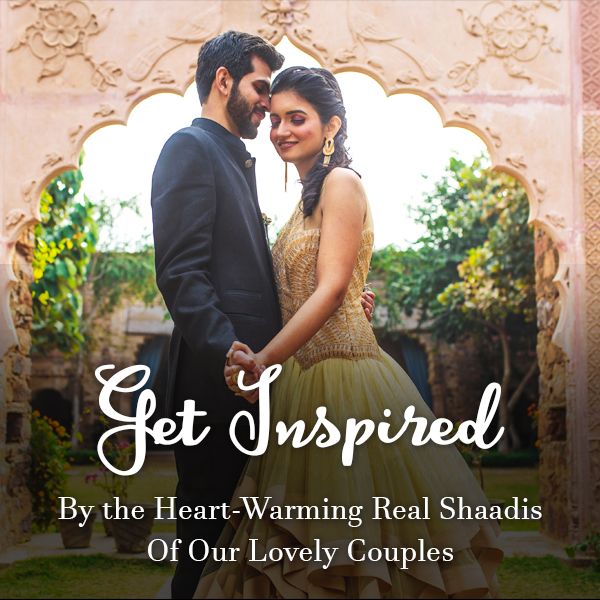 Their grand wedding decor is something you wouldn’t want to miss. 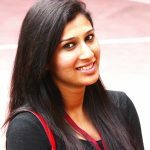 The couple hired ace designer Vandana Mohan’s The Wedding Design Company to take care of their wedding decor and planning. And, indeed, everything about this wedding was magnificent. 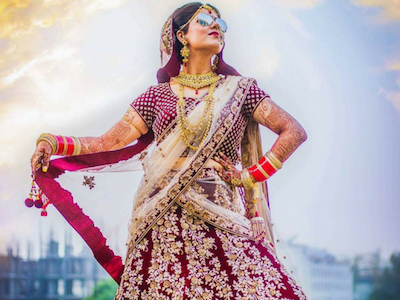 Not only did the couple chose some of the most lavish palaces and antique forts for their wedding celebrations, but their wedding theme was also out-of-the-box. 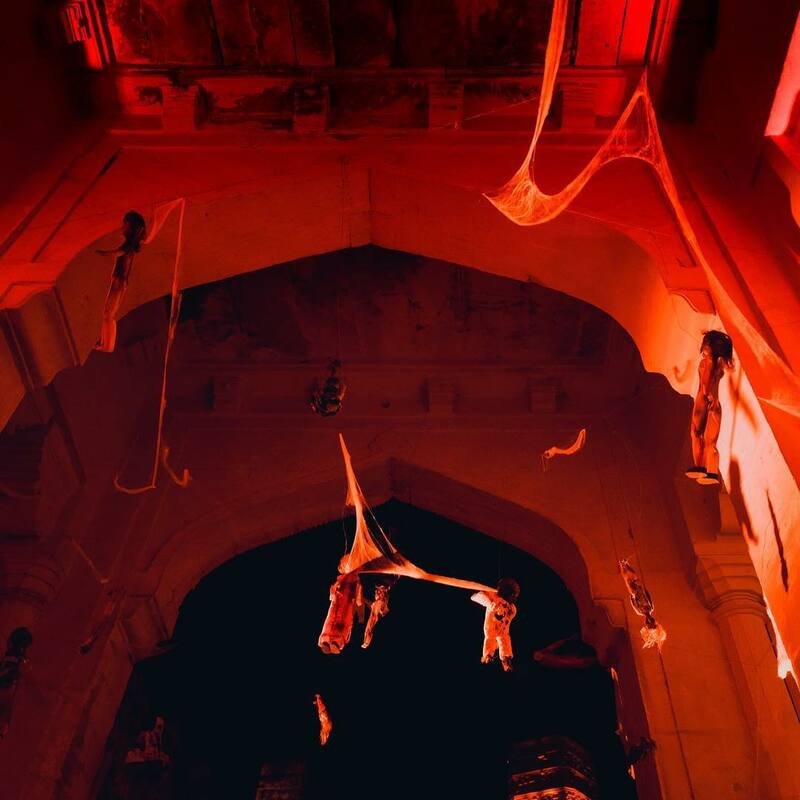 Savitri Singh’s mehendi was nothing short of a fairytale. 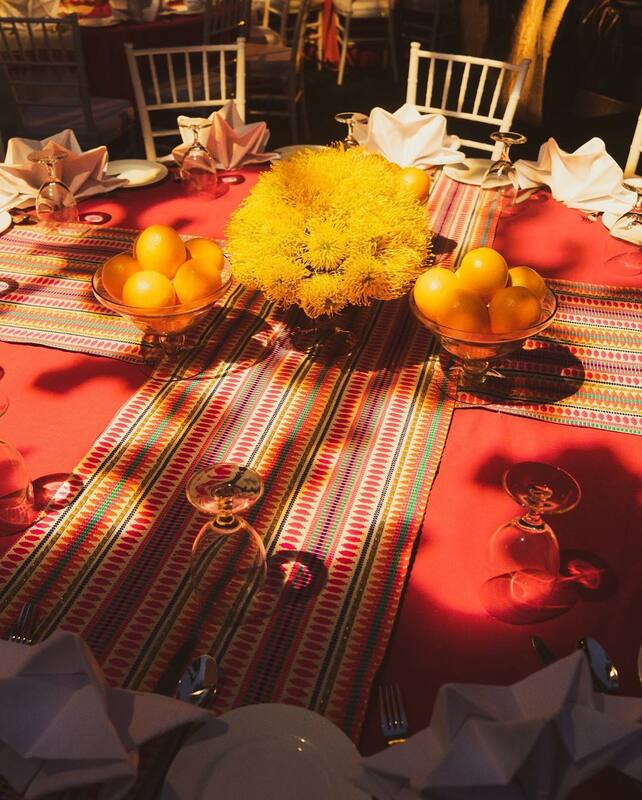 The dinner tables were all done up in colourfully printed covers, fresh flowers, fruits, and the ceiling strung with rows of giant foil boxes and mirror hangings. 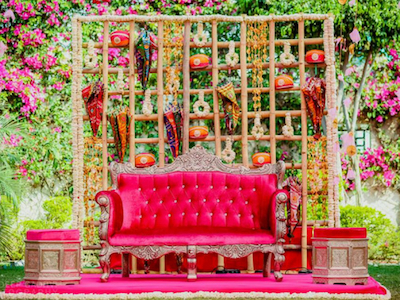 It seems like Savitri Singh got exactly what she had dreamed of for her mehendi with this vibrant and eclectic combination of wedding decor. 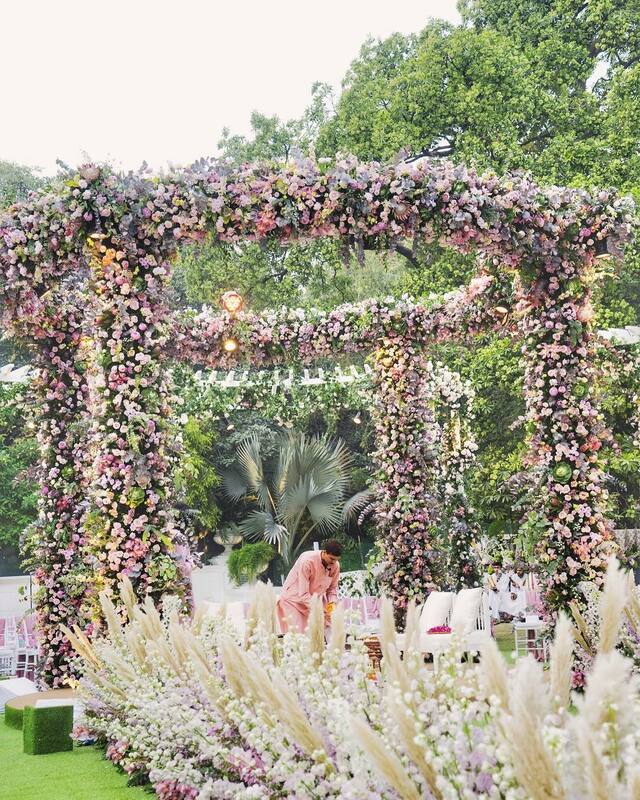 Savitri Singh’s mandap decor was jaw-droppingly beautiful with fresh exotic flowers all around. 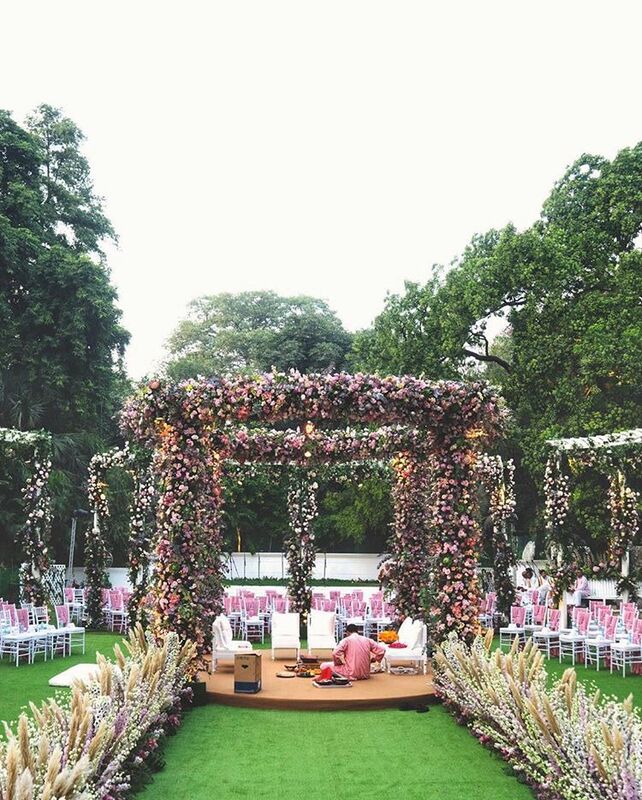 With pink and white colour theme, her mandap decoration was no less than a fairytale. 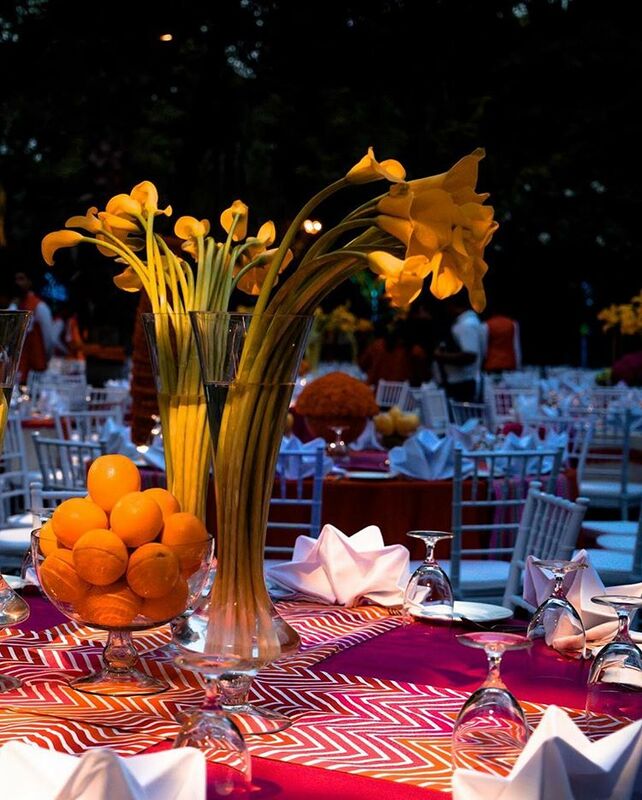 The couple opted for an African themed wedding with a contemporary twist, which is beyond imagination for many. However, WDC made the couple’s dream wedding come true perfectly. 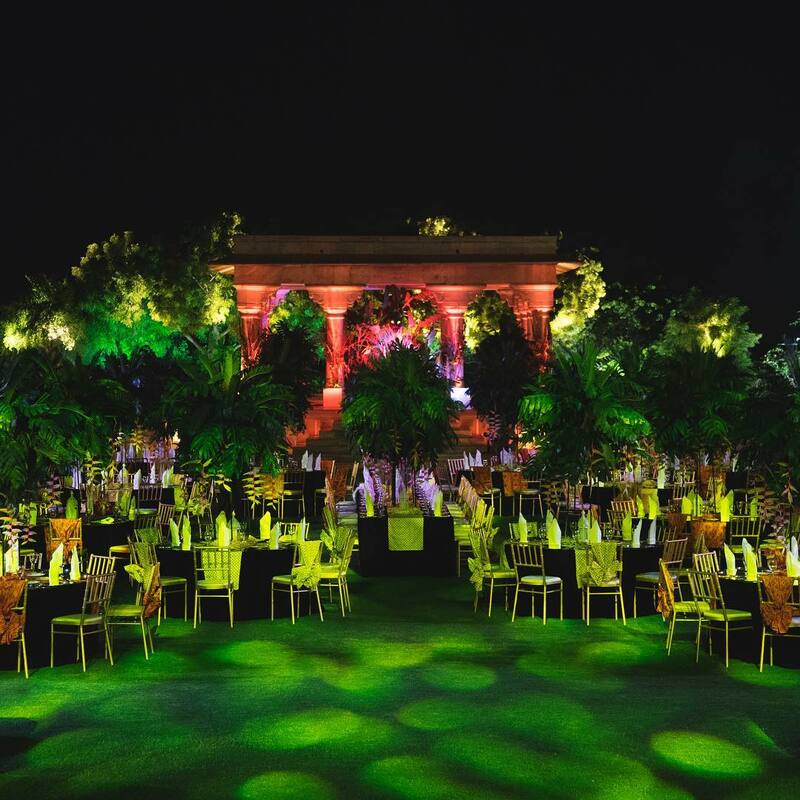 Savitri Singh and Sahir Berry threw a lavish post-wedding party at Umaid Bhawan Palace, Jodhpur which was an African themed party with African-printed dinner table tops and chairs along with exquisite floral elements. 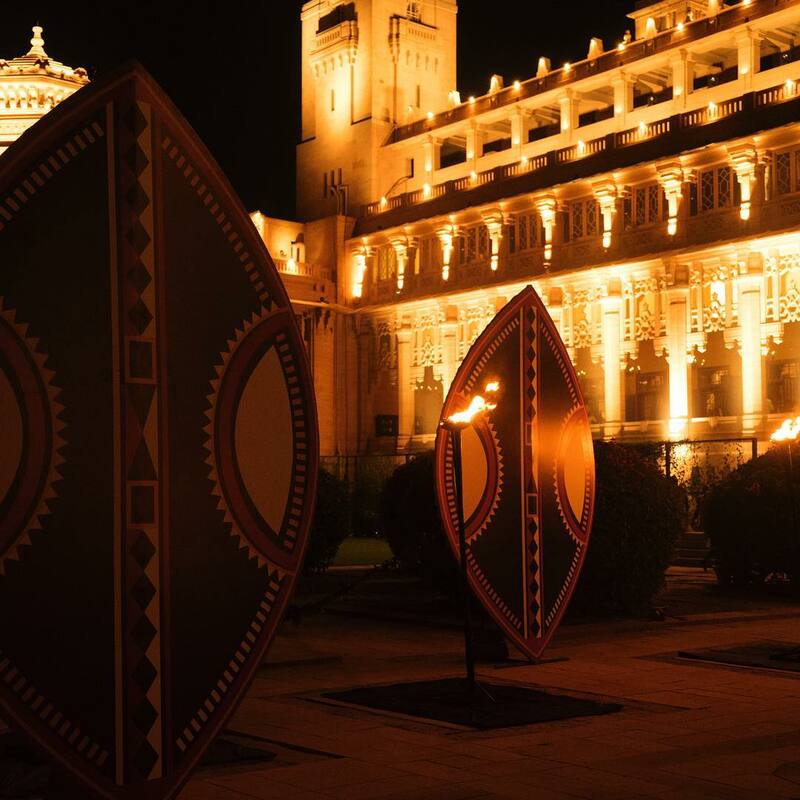 The couple also hosted a completely out of the box ball party at Mehrangarh Fort, Jodhpur. 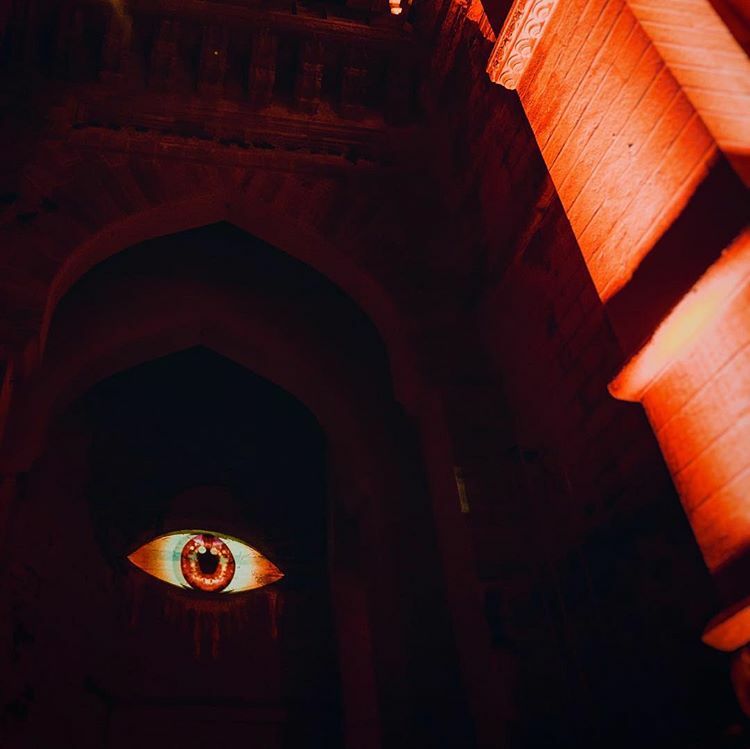 They welcomed their guests for the surrealist ball party ever! 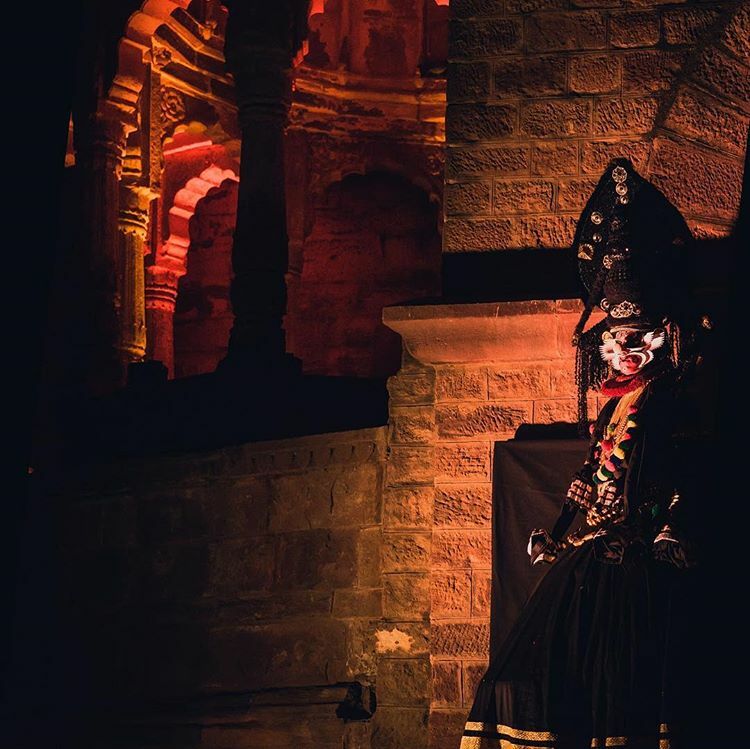 The unique post-wedding decor was full of dark surprises for the guests as it offered a theatrical experience. 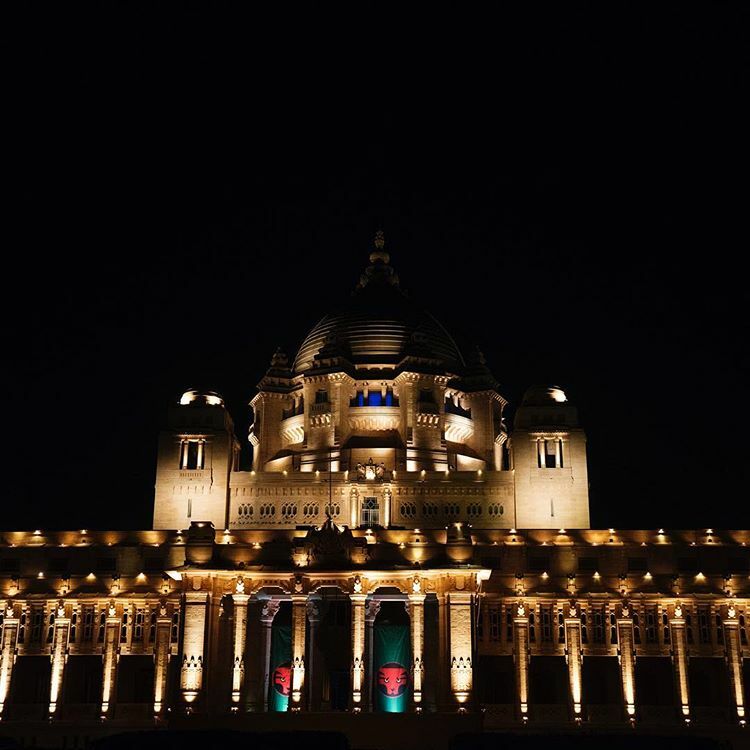 Wasn’t Savitri Singh’s grand wedding celebration all surreal and exquisite? 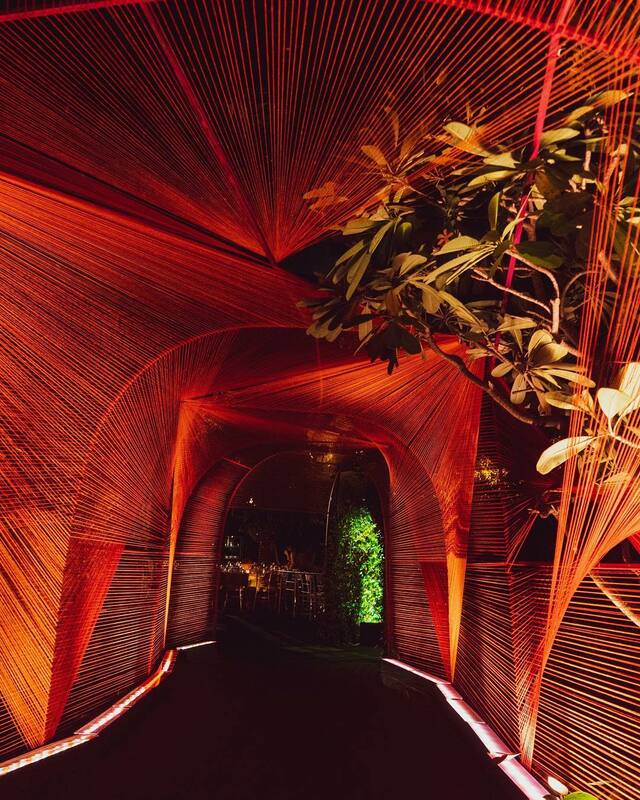 Such big fat Indian weddings surely leave behind some amazing wedding decor inspirations to steal from! 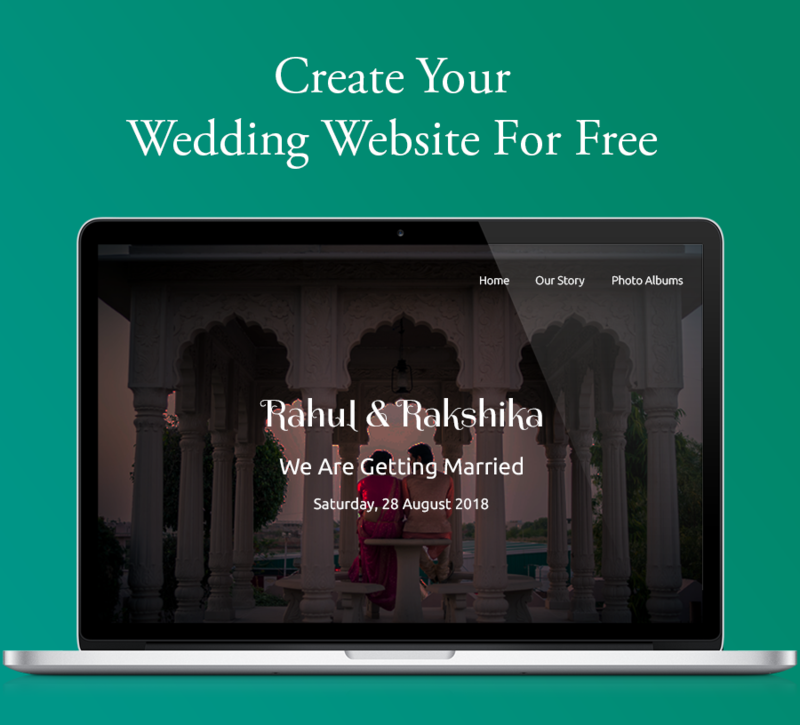 Also, read about budget wedding decor ideas for weddings here. 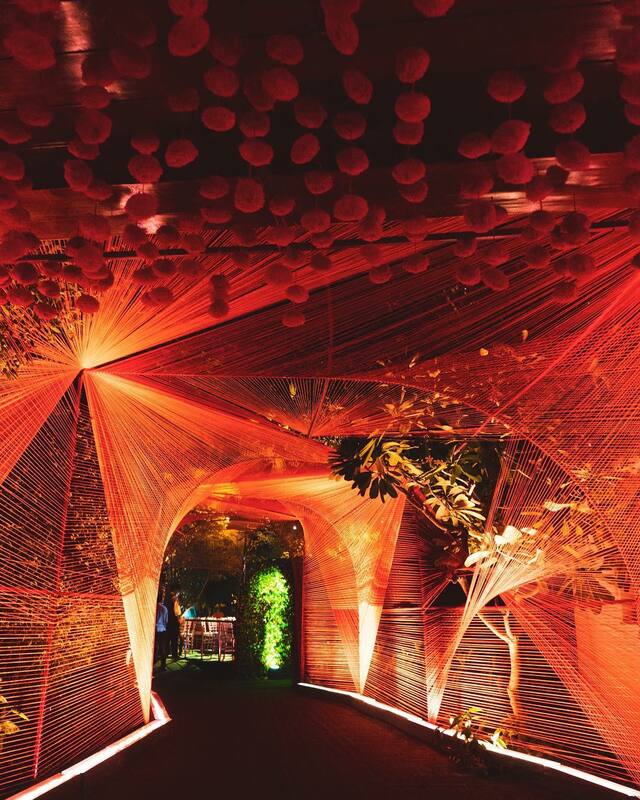 This Is How Akash Ambani And Shloka Mehta’s Wedding Decor Looked Like! Take Inspiration From These Wedding Decor Ideas For Your Bridal Swing!